I forgot to take the before pictures of this car before wrapping the roof, but you guys can probably imagine what it looked like before/stock with the white roof. 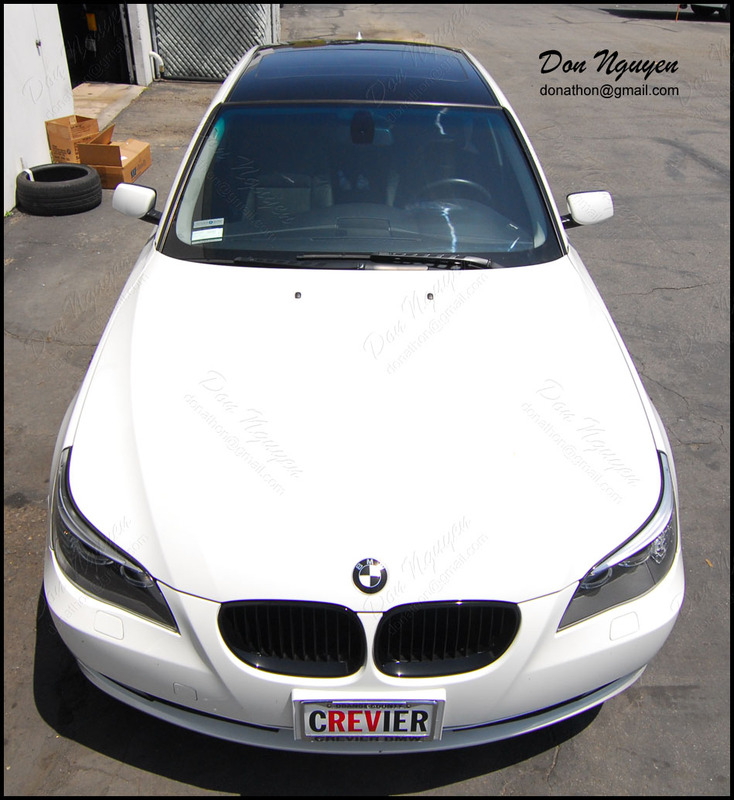 The owner of this alpine white BMW E60 5 series came by to my shop in Anaheim Hills / Orange County from around Los Angeles to have the roof wrapped in my gloss black vinyl material. Went with the gloss black to give it a clean factory look, similar to what the car would have looked like if it came with a panoramic roof. 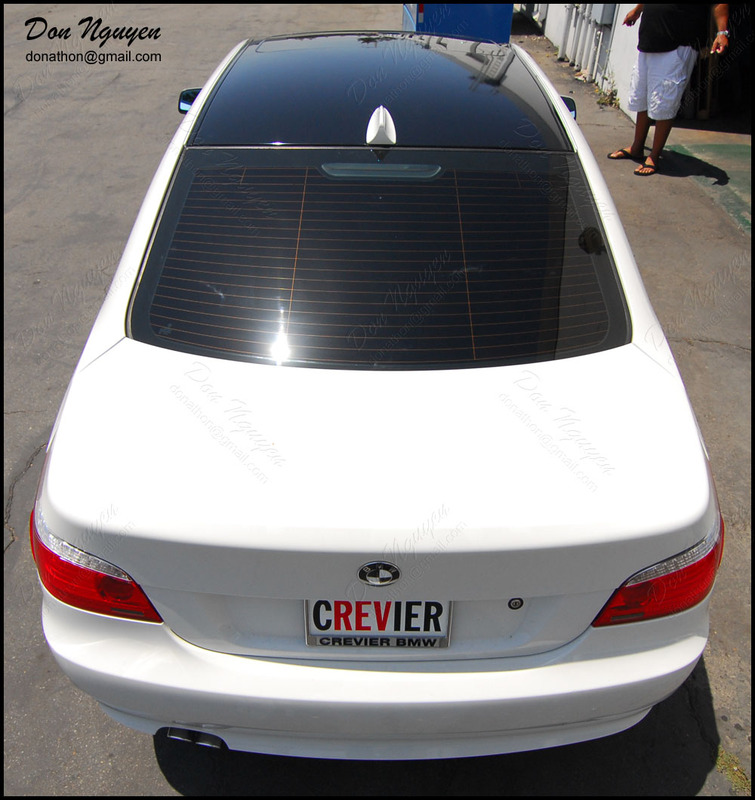 Also took some close up pictures around the sunroof, edges, rails, etc for you guys to see the details that goes into my installs.